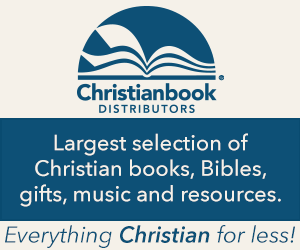 I’m excited to become a partner with Christianbook.com! They have been providing “Everything Christian, for Less!” for 40 years! I used to think that they were just books, until I recently visited their site to see all that they have to offer. Here are links to some of their most visited pages–you’ll love all that they offer! And I love that they support small businesses like Sincerely Anchored by giving me a commission for purchases made through my links! Thank you for supporting me too!